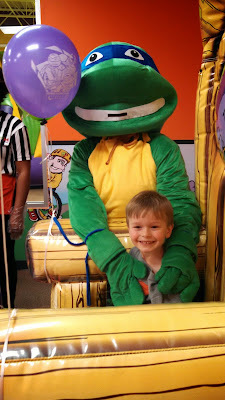 It is so hard to believe that it has already been 5 years since my little guy was born!! Time surely is flying by. 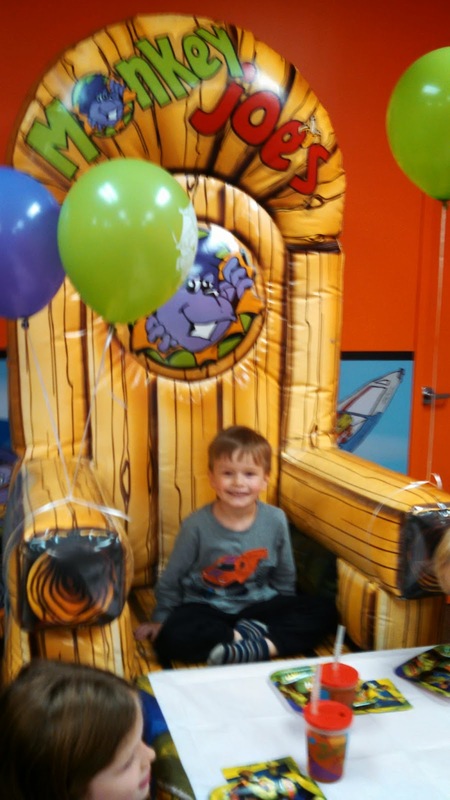 I wanted to share with my readers a few photo's from my son Hunter's recent birthday. Birthday boy woke up and immediately wanted to open his presents. He loves pirate's and he is learning how to write his name in preschool so I thought a personalized pirate themed book would be such a perfect gift for him. 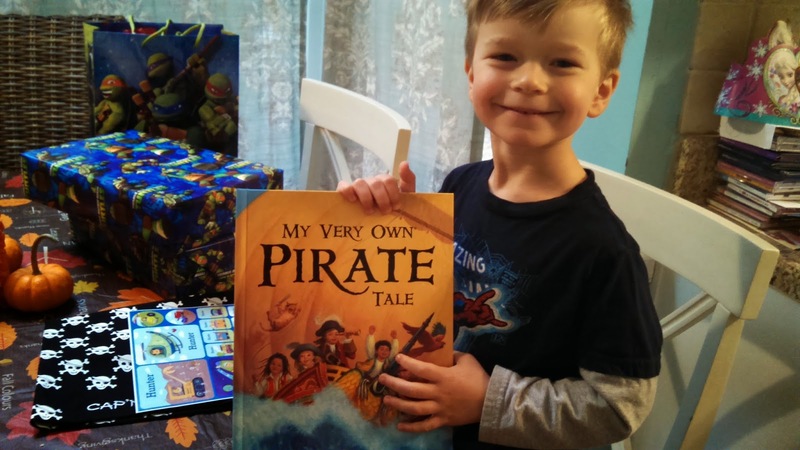 I found this adorable personalized book called My Very Own Pirate Tale from I See Me! They offer a variety of adorable personalized children's books for both boys and girls. These make such unique gifts. Let me tell you, as soon as he saw his photo in the front of the book he went nuts! "Mommy that's ME!" he shouted. Then I told him to keep looking through the book and then he discovered the letter's on each page spelling out his name! He thought this was SO awesome. He also received a personalized pirate bandana with the book. It is the cutest thing ever! 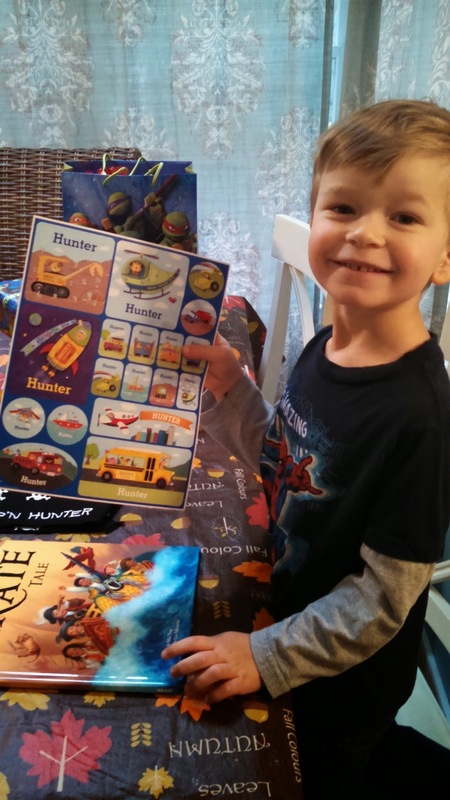 He loves planes, trains and firetrucks and when I saw the personalized stickers on the I See Me! website I knew I had to get them! The stickers are available for girls or boys and they are so cute. Birthday boy with his new personalized book from I See Me! He loved his personalized stickers too!! Look who came to his party?! A Teenage Mutant Ninja Turtle! With the holidays approaching quickly I wanted to share with you this awesome special that I See Me! 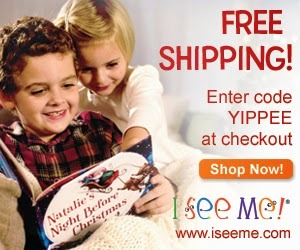 is offering: FREE shipping! I See Me! also offers personalized lunch boxes, puzzles, coloring books, placemats and growth charts! These make such unique gifts for birthdays, holidays and special milestones. The book is such a good idea!!! Mason is starting to get excited every time he sees a M. I can imagine how much he would love the book and stickers!! Happy 5th birthday!!! He looks very pleased with his personalized book! I recently discovered Monkey Joe's. Haven't been yet, but am hoping to soon. Looks like fun!